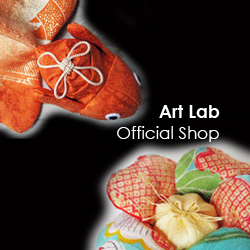 Amezaiku, Sugar sculpture, is a kind of traditional performing arts in Japan today. The candy men blew and cut candy in front of audience. they do beautiful performance . Some of department stores, events or wedding ceremonies invite them to impress people. 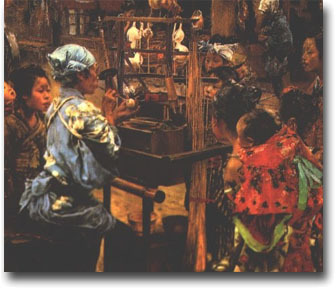 Early of Edo period , there are variety type of candy craftsmen, for example some of them are making Chitose candy (A stick candy symbolizing good luck called Chitose candy). It is thought that the Amezaiku, Sugar sculpture, was completed in the days of a peaceful living of Edo period, when is Bunsei culture time. The name of the style was changing according to the time or regions eventually. People called it “the bird of the candy” at the first time. After that, Probably people called it “the blew candy” . 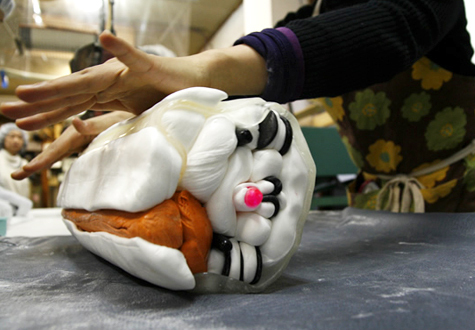 The style called “Amezaiku, Sugar sculpture”, which is making kinds of animal sculpture, was began. So the name of the “Amezaiku, Sugar sculpture ,” began to be called instead of the “blew candy”. It has been called a completely general name now. However, the name called the the” blew candy” is still used in some part of Japan. 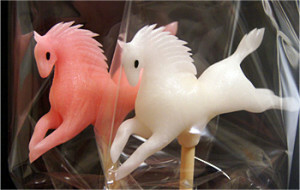 Someday, the style of “making the animal candy sculpture by Japanese scissors” was born. The Japanese scissors is the most necessary tool for their work after all. 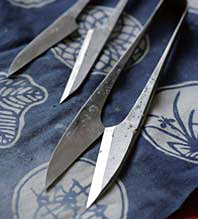 As the Tatara ironmaking process was established, the number of production of Japanese scissors were increased. The candy was spread over the Japan according to development of production of Japanese scissors. It is thought that the history of the Amezaiku, Sugar sculpture is for 300 years since achievement of recent style.